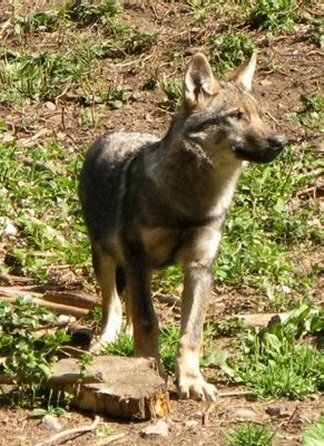 The Italian Wolf, also known as the Apennine Wolf, was originally described in 1921 as subspecies Canis lupus italicus of the common grey wolf by Italian zoologist Joseph Altobello. However, in 1999 it was recognized as a species distinct from Canis lupus. There is presently a dispute over whether the Canis lupus italicus is a grey wolf subspecies or an actual species of its own, Canis italicus. The Italian wolf is found mainly in the Apennine Mountains in Italy. They have been found dwelling within 25 miles of Rome. Semi-recently, they have implanted themselves in Southern France, and areas of Switzerland. By grey wolf standards, the Italian wolf is considered a medium sized subspecies. Their body size varies from 39 to 55 inches in length and weighs 53 to 88 pounds. Females are roughly 10 percent smaller than males. 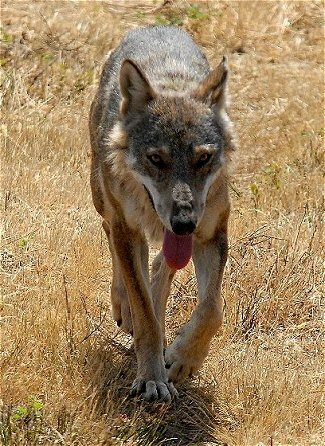 Italian wolves are usually a mix of grey and brown. Though rarely seen, black wolves have been sighted in the Mugello region and the Tuscan-Emilian Apennines. Italian wolves are known to hunt at night, feeding mainly on both medium and small sized animals such as wild boar, roe deer, and red deer, chamois, elk, hares, and rabbits. They will also feed on plants, berries, and herbs for fiber. When around the suburb, wolves will feed on garbage, livestock and domestic animals. Because of the rarity of large prey, wolf packs in Italy are often smaller, comprised of just a reproducing pair and a few young. Young wolves usually stay with their birth family until they are old enough to start their own family. Mating season usually occurs around the middle of March. Gestation will then last for 60 days, after which the mother gives birth to anywhere from 2 to 7 pups. By the end of the 1920's, wolves throughout the alps and Sicily were annihilated. Their number was also severely reduced in the Appennine regions, all from fierce persecutions. 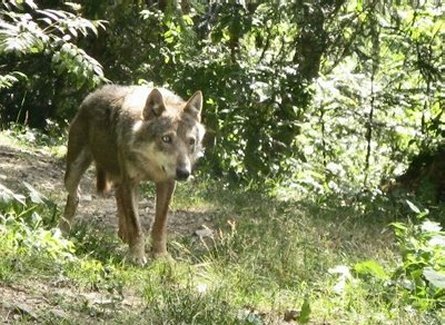 The wolf population in Italy continued to decrease until the early 1970's when Luigi Boitani and Eric Zimen took on a study of the wolf in the Abruzzo Mountains, east of Rome. As a result, the World Conservation Union expressed great interest in the wolf, listing it in the IUCN's Red Data Book of endangered species. The italian wolf population in the wild has since increased to between 500 and 600 and is estimated to be growing by 7 percent annually. Their largest apparent threat at present is a large number of wolf-dog hybrids altering the genetic integrity of the Italian wolf. A captive breeding program has been started by biologists. However, further controls on the number of domestic dogs are badly needed.